The smell of chlorine used to disinfect water can be overwhelming, especially if you are not used to it. Iron bacteria in your well system can lead to a swampy, algae-like smell in the water. Possibly the worst of them all, the rotten egg smell, is hydrogen sulfide gas produced by decomposing organic matter trapped somewhere under the ground where water passes through on its way to your well. Solution: depending on the cause of the smell, reverse osmosis, carbon filtration or an oxidizing filter can be used to get rid of the foul odor. Nine times out of ten, water that smells bad also has an unpleasant taste. Besides the situations we covered above, water can also be contaminated by metals or dissolved solids. Metals, typically iron, can add a distinctive metallic taste to your tap water. 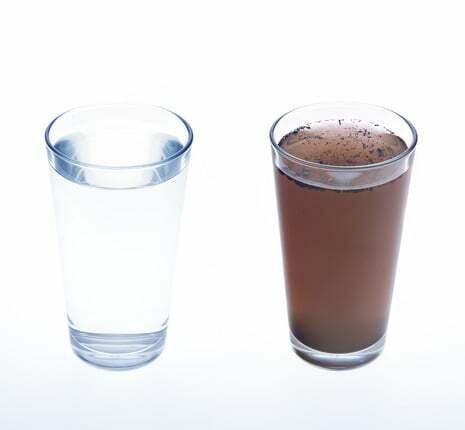 Dissolved solids, on the other hand, can make water taste bitter, salty or otherwise odd, depending on what kind of contaminants and pollutants are common in your area. Solution: reverse osmosis will remove and filter out most impurities from your water, such as toxic heavy metals (i.e. lead, magnesium, aluminum), nitrates and chlorine. It will turn your ordinary tap water into better-than-bottled water.